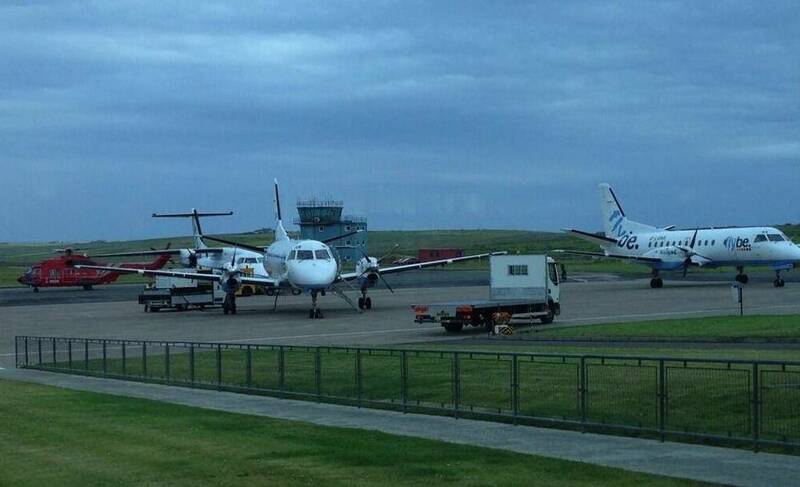 THE CIVIL Aviation Authority is looking into an incident at Kirkwall Airport on Friday night when a flight bound for Edinburgh took off after air traffic controllers had gone home following the end of their shift. The Loganair plane with 33 passengers and three crew on board arrived safely in Edinburgh after taking off at 8.45pm – an hour later than scheduled and three-quarters of an hour after air traffic controllers finished work. 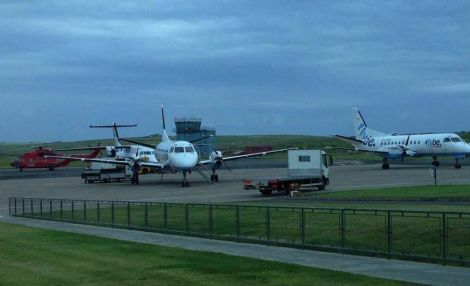 Both Highlands and Islands Airports Ltd (HIAL), which operates Kirkwall Airport, and airline Loganair have said that there was no breach of rules or aircraft safety and that both companies were investigating the circumstances of the flight, where air traffic controllers would normally be monitoring activities. The incident happened as HIAL’s air traffic controllers are in a pay dispute with the authority, which is a wholly owned subsidiary of the Scottish Government, and are working to rule – including not staying beyond airport opening hours if a plane is delayed. A whistleblower has claimed that despite having been informed of the reasons why aircraft controllers would not be clearing the flight, HIAL managers instructed a member of staff to go into the air traffic control tower and switch on the aerodrome lights after the controllers had left for the evening. Furthermore, he claimed, departing from an aerodrome at night using visual flight rules (VFR) can only be done if the operator has a dispensation from the CAA to do so for a specific route. Loganair, he said, have no such dispensation for this route. The incident triggered mutual accusations of intransigence on the part of HIAL and that the aircraft controllers had exceeded the legal bounds of their agreed action. 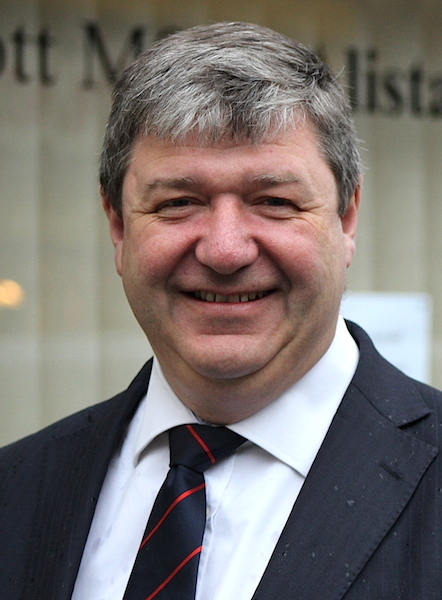 Orkney and Shetland MP Alistair Carmichael said that he had written to the CAA demanding an investigation as only a thorough probe of events could get to the truth of what happened. Carmichael added: “I am very concerned about the content of what I have been told and want an early answer from the CAA about what they intend to do as the regulator of this area. Alistair Carmichael has referred the matter to the CAA. A Transport Scotland spokesman said: “The operation of Kirkwall Airport is a matter for HIAL who will examine the circumstances that led to an aircraft being denied permission to start up, even though the airport remained open. Transport Scotland also encouraged Prospect and HIAL to discuss a retention allowance for air traffic controllers and to resolve the pay dispute. It welcomed Tuesday’s positive talks that led to the suspension of strike action planned for later this month, in order to allow further negotiations. A spokesman for HIAL said that the decision to carry on with the flight had been an operational one with ground management and the pilot deciding it was safe to fly. Alternative operational procedures in event of an unstaffed control tower had also been followed. 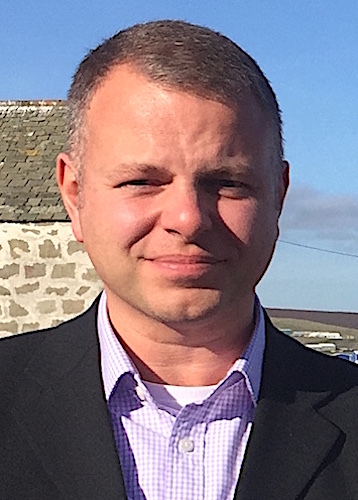 He said: “HIAL is undertaking an investigation into the circumstances that resulted in Loganair flight 394 from Kirkwall to Edinburgh being unable to depart during airport opening hours on Friday, April 8. He added: “If a flight with passengers has departed without air traffic control that would be very serious and the CAA would need to look into the matter urgently. Avery added that the rules on rest periods for air traffic controllers were very strict. He said: “Due to these rules the controller had to come off the desk at 20:00 and there is a requirement that the last departure is 15 minutes before the close to ensure that an aircraft can return if there is a problem during take-off. He said that the air traffic controllers had not wanted to take industrial action but they had been left with no choice. Avery said: “Our members at HIAL undertake highly skilled roles, much in demand across the UK and Europe, but due to public sector pay restraint their pay has fallen significantly behind the rest of the industry. “We have been negotiating with HIAL over this dispute for more than a year. Following the industrial action notice there have been three further meetings and a fourth is planned with ACAS this week. “We have come to those meetings willing to negotiate a deal which might resolve the dispute, however officials have been unable to do so due to the constraints placed upon them by Ministers. He added: “It is a matter of profound regret that HIAL’s air traffic controllers – a group whom we hold in the highest professional regard – have chosen to engage in this action based on their union’s advice, and moreover have exceeded the legal scope of action in doing so. This introduces unnecessary pressure for everyone into an operational environment where safety is paramount. He also thanked the HIAL safety teams and Loganair’s crew for ensuring customers were able to complete their planned flight to Edinburgh despite the “unforeseen and unnecessary” turn of events. Although a bi-annual British military exercise was in swing in the area there were no aircraft operational at the time and no other aircraft within a 30 mile radius, according to Loganair. The airline also said that the aircraft had departed on a night VFR basis, “which is perfectly legal” and that the aircraft contacted Scottish Control as it normally would after departure.